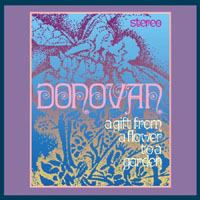 All tracks by Donovan P. Leitch except track 08 lyrics by William Shakespeare, music by Donovan P. Leitch. · Epic Records insisted in releasing both records from A Gift From A Flower To A Garden also as two separate albums in the US. This is the first record, released as Wear Your Love Like Heaven. The second one was released as For Little Ones. 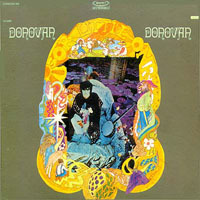 This wasn't Donovan's idea: he wanted to release a box set with the two albums. Separately the albums charted #54 and #185, while the box set reached #15. The separate albums didn't chart well as people preferred the nifty box with the beautiful lithographs. · Epic Records insisted in releasing both records from A Gift From A Flower To A Garden also as two separate albums in the US. The first one was released as Wear Your Love Like Heaven. This issue is the second one, released as For Little Ones. 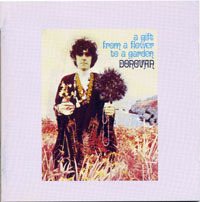 This wasn't Donovan's idea: he wanted to release a box set with the two albums. Separately the albums charted #54 and #185, while the box set reached #15. 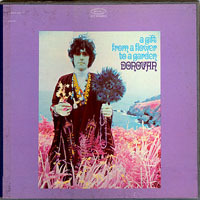 The separate albums didn't chart well as people preferred the nifty box with the beautiful lithographs. 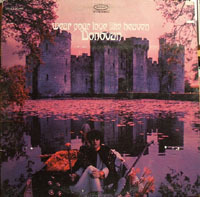 · All tracks are credited to Donovan, but the lyrics to Under The Greenwood Tree are a poem by Willam Shakespeare. · Someone Singing is listed as Someone's Singing. · This reissue included new artwork by CLE, from St. Ives, Cambridgeshire. They tried to honour the original artwork. 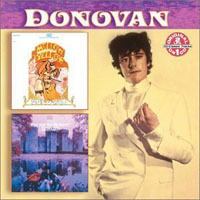 · The inner notes were written by John Tobler and included an interview with Donovan about the album, a small article about his success and A Message From Donovan. Also included the lyrics to the songs as well as the original illustrations for the second album, at a very small and poor size. Track list: same as the original plus the Mellow Yellow album track list. · This is an mix edition the Mellow Yellow album and the first record of A Gift From A Flower To A Garden, called Wear Your Love Like Heaven. Trivia: this reissue has a cover design never released before.